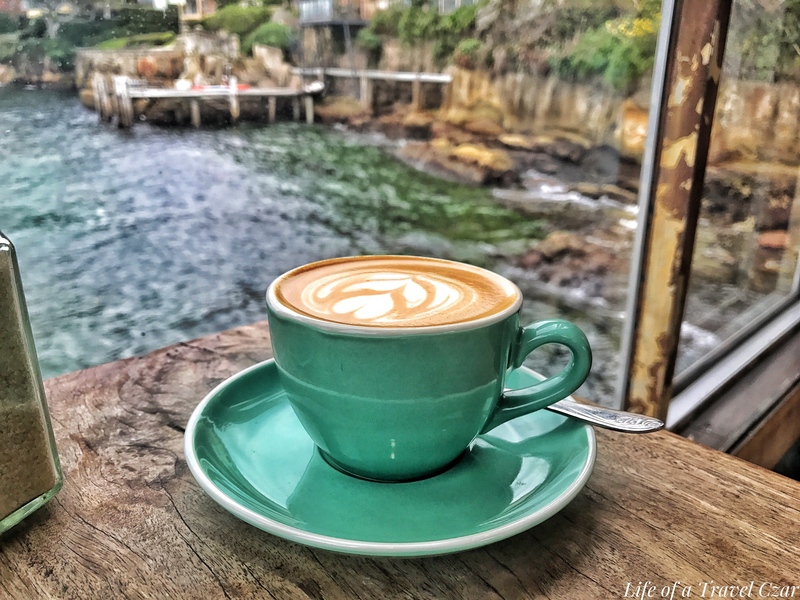 Celsius Coffee is a quaint little cafe tucked away in Kirribilli which is literally on the wharf. It’s a hidden gem and accessible through a small walkway off Holbrook onto the jetty. Its certainly is a beautiful sight as the aqua waves of the harbour crash upon the the weary wooden wharf creating a little poetic background tune for the afternoon. The views are stunning; compassing a broad section of the harbour including Mrs Macquarie’s Chair and Garden Island. I am here for brunch with a fellow blogger Em from Mint and Matcha. If you have a passion for holistic health, great food and travel; you should definitely follow her on instagram: @mintandmatcha. 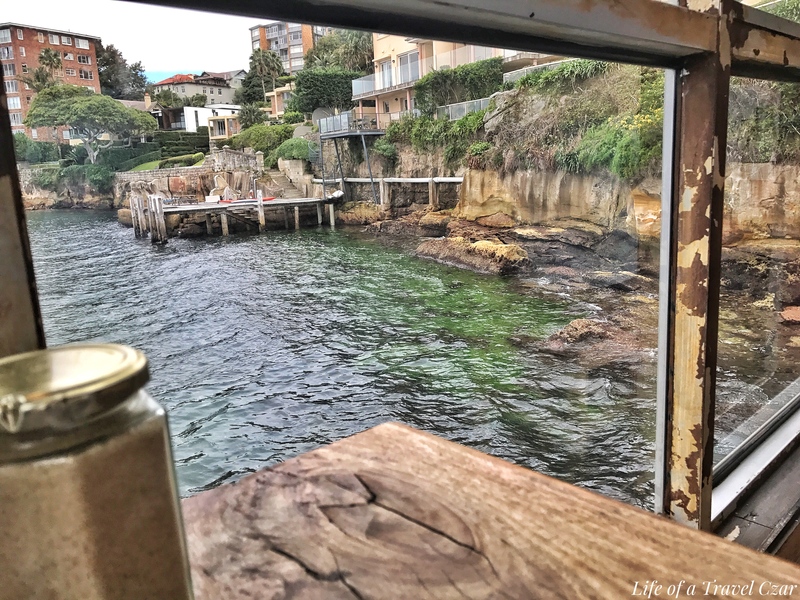 I get there early and when a couple vacate their tables, I pounce and position myself at a choice spot with a stunning view of both the shore and the harbour. I start with a coffee, which hits the spot, the bitter rich espresso flavour mingles in harmony with the frothy steamed milk for a silky taste experience. We start by ordering juices (they don’t have wine on their menu), I go for the watermelon, which proves refreshingly sweet with a tart hit of the lemon at the end. The apple is barely noticeable. Em opts for the Bondi Juice. When it comes to ordering the food we debate what’s the best course of action. 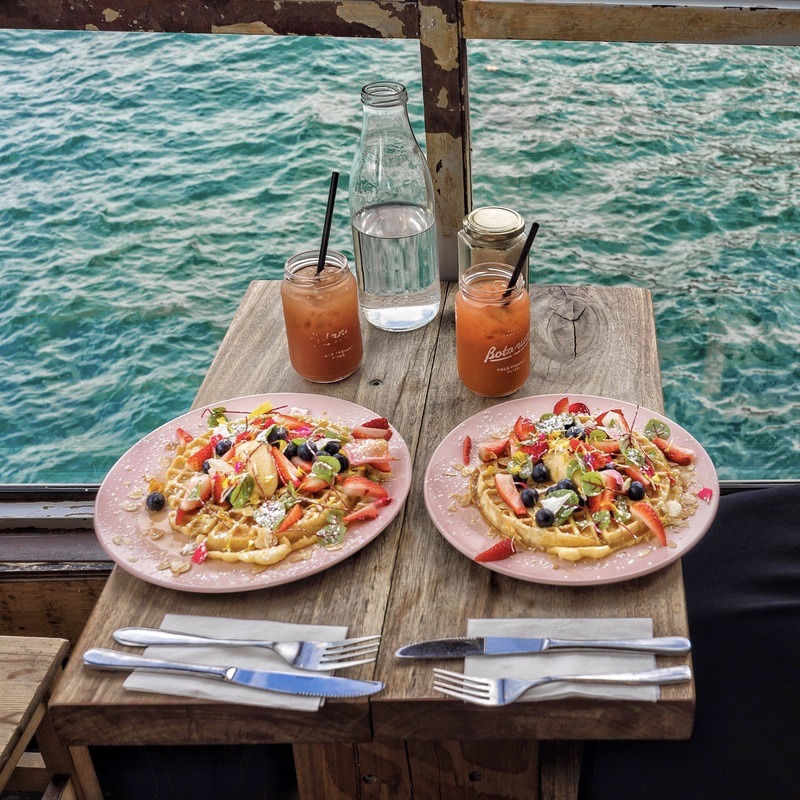 Everything looks tempting, but we end up choosing the waffles. 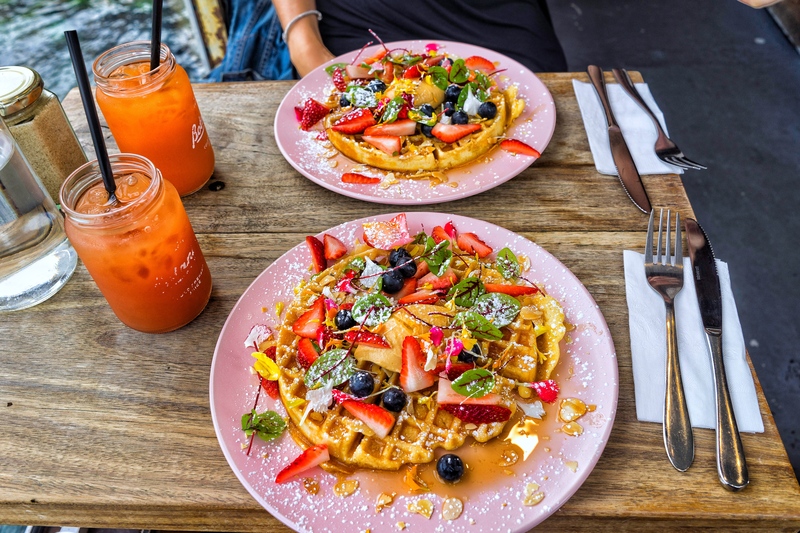 The waffles certainly tick the aesthetics box, with beautiful fresh berries, the lump of the light caramel coloured peanut butter cream, the golden maple drizzled on top and the cream coloured waffles. Their sight alone whets the taste buds and captivates even the most seasoned food lover. There is a little science in eating them, scoop a bit of waffle for the beautiful batter goodness, a little maple, some berries & nuts and then of course the peanut butter cream to match. The waffles are light and fluffy and have the most extreme sugar hit. The smokiness of the maple syrup asserts itself strongly while the nutty peanut butter cream and the toasted nuts find solace together, the fresh berries burst on the tongue with a juiciness to further the sugar hit. Each mouthful is a sensation, as I lean back in my chair in amazement. I look at Em to gauge her response and she has the same reaction; these waffles are indeed a golden taste sensation. 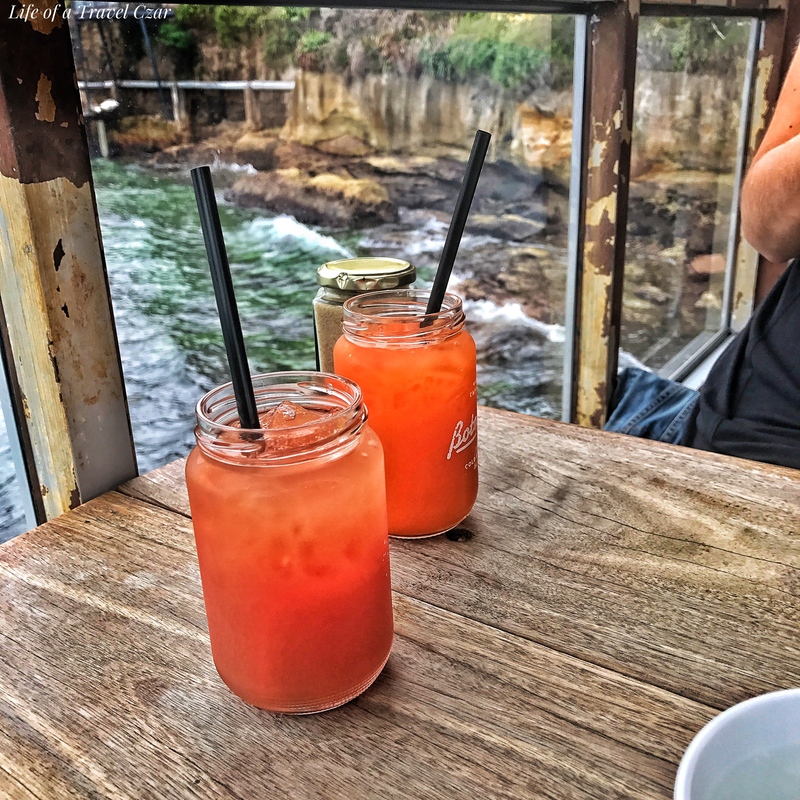 It proves to be a lovely afternoon, the sun is out, the water is oh so beautiful, the view breathtaking, the food hits the spot and the conversation flows effortlessly. 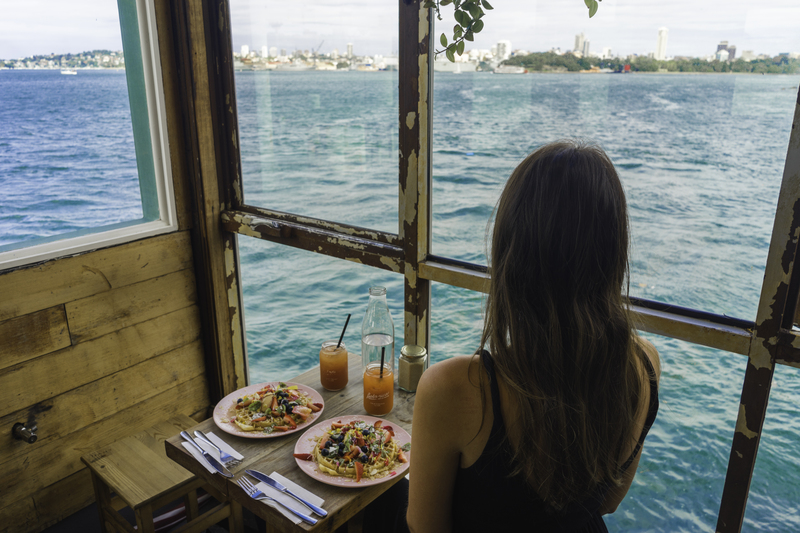 Brunch at Celsius is the perfect way to spend a leisurely day in Sydney.